Each night the rodeo grounds will fill with fans as they watch dozens of amateur riders, racers and ropers compete for prize money and glory. Competitions will include bull riding, calf roping, barrel racing, team roping and more, plus special events like the chicken chase, live musical entertainment and Jared the Clown. “We have a barrel clown that has been doing it for years, Jared the Clown, and he is great,” Rydel Reber, Enterprise Rodeo chairman said. Reber has been chairing the rodeo off and on for nearly two decades, he said and added that his father did it before him. It is a tradition that he was raised with. According to its history webpage, the first Enterprise Rodeo was held circa July 1908, though, as the text reads, nobody remembers for sure. 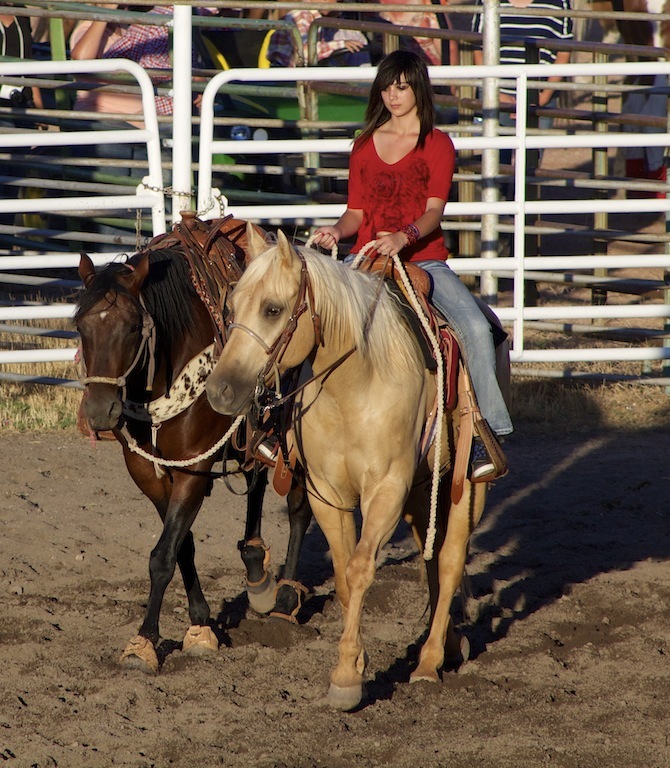 The rodeo did and continues today to coincide with the annual pioneer heritage celebration held on or near July 24. The early rodeos were put on by members of The Church of Jesus Christ of Latter-day Saints in the area and were held where Enterprise Elementary is now located. As the rodeo grew and times changed, the location changed from the elementary school grounds to the church square and finally to a dedicated location outside of town. Recent renovations to the rodeo grounds have been made to improve the facility including covered grandstand seating. The rodeo is steeped in western heritage and includes several unique and hilarious anecdotes involving beer mishaps, broken legs, a black-eyed bull, a famous bucking horse and a missing glass eye. Today the rodeo is operated by the American Legion Post 80, Sons of the American Legion and a host of volunteers who continue to make the Enterprise Rodeo a success. This year’s rodeo will take place Thursday-Saturday beginning at 8 p.m. Tickets are $6 for adults (12 and over) and $3 for kids ages 3-11. Toddlers and babies ages 2 and under are free. Parking is free. When: July 21-23, 8 p.m.